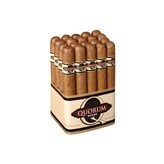 Quorum is a smooth and flavorful cigar in medium strength. The Nicaraguan fillers and binders signal dependable quality all the way, and the Ecuadoran Connecticut shade wrapper even adds a hint of exotic elegance. Starting out in Cleveland in 1895, J.C. Newman moved their operations to a historical cigar factory in Ybor City in 1954. Now in its fourth generation, the J.C Newman Cigar Company is the oldest family owned premium cigar maker in America. For a new twist on its popular Quorum line of cigars, J.C. Newman incorporates Nicaraguan binder and filler encased in an Ecuadoran Connecticut Shade wrapper providing a smoother and milder cigar. The semi-sweet blend creates bold flavors of spice, nuts and caramel. For the high quality and price you “might” want to share your Quorum Shade with friends and family. 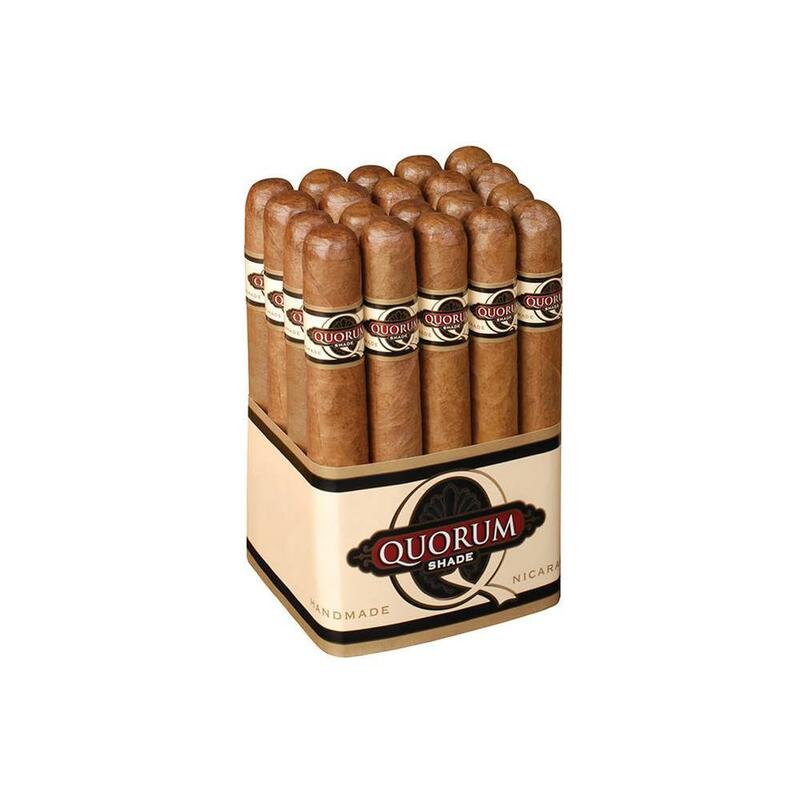 Quorum Shade comes in bundles of 20 and makes a great cigar to hand out at bachelor/bachelorette parties and the celebration of a new addition to the family. They can always be found at a great price online at elcigarshop.com. This light to medium bodied cigar goes quite well with a select lager beer or, when available, seasonal Oktoberfests from Germany. Brands like Yeungling, Pilsner Urquell, Jamaican Lager Red Stripe, and Weihenstephaner Festbier make good companions. I recently picked up a six pack of Hacker-Pschorr Oktoberfest to pair with my Quorum Shade. Hacker-Pschorr has deep amber color and a light caramel froth. The amber Marzen has a slight floral aroma and is lighter than other Oktoberfests, making it a perfect pairing with my Quorum Shade Toro. The milder Quorum Shade and Hacker- Pschorr Oktoberfest make a great selection on a cool autumn day.